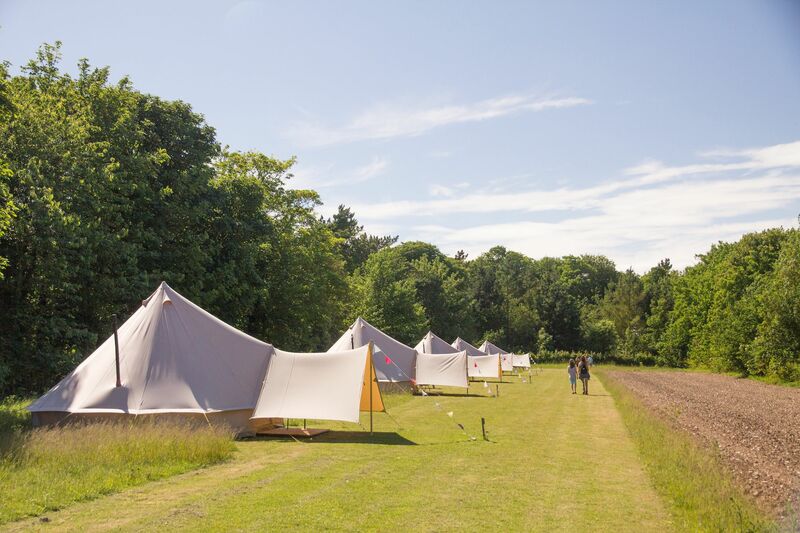 Bedful is designed from the ground up for glamping site owners, by glamping owners. We've taken in suggestions from hundreds of glamping sites to build you a system tailored to your needs. 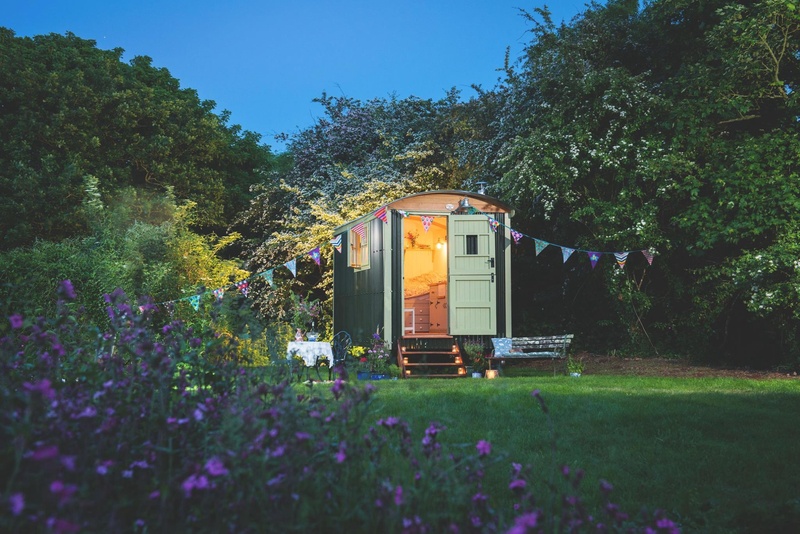 While most other booking systems have been designed primarily as hotel booking systems, our system was built first for glamping sites, pooling the experiences and feedback from dozens of glamping owners throughout the UK and across Europe. Upselling extras is a big part of the glamping offering (eg hampers, massages, other experiences), so we built a visual solution that not only allows guests to select extras at the point of booking, but also presents them with images to help the sale. We also built a Daily Dairy that can be viewed on-site on an iPad or mobile device, detailing everyone that is arriving/leaving on any given day, highlighting accommodation that is needed same-day for a priority clean/turnaround. The Daily dairy also has a summary of all the extras required for the day, as well as who they are going to, allowing you to see at a glance which extras need to be prepared for the day. 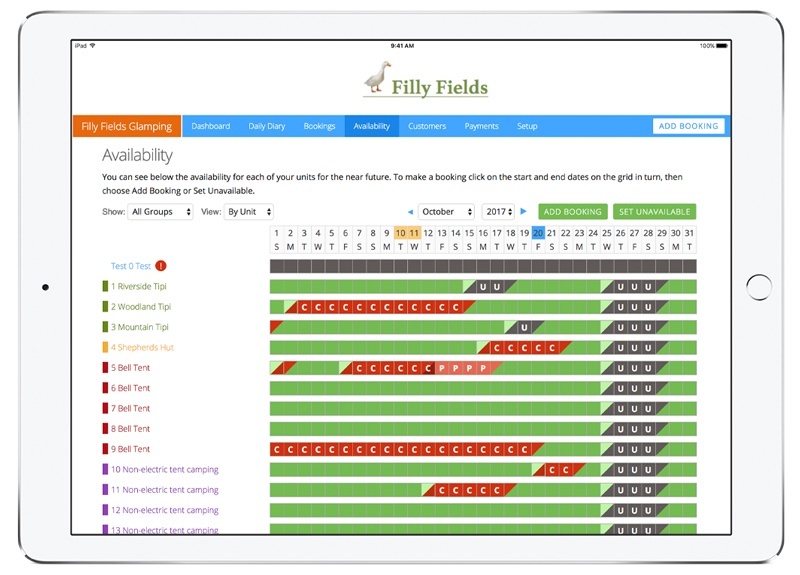 Our availability grid allows you to see your site occupancy at a glance, shift bookings around and easily add or block off units. I'm very pleased with the booking system. I love the integration with Stripe, it makes managing the finances so much easier than doing my own invoicing. The payment system also encourages campers to come camping in the rain as they have already paid! I'm very pleased with the attitude of the staff who always seem ready to help and are very friendly.